How Long Do the Panic Attacks Last? How to Reduce the Length of a Panic Attack? During a panic attack, it feels like your world is collapsing. Focusing on a panic attack can make your situation even worse as it can just intensify your panic attack and prolong the period until you calm down. However, keep in mind that even though it might seem an eternity, panic attacks don’t last too long. Once you know what to expect and how panic attacks look like, you can find ways how to calm yourself and prevent a panic attack from occurring in the first place or recover as quick as possible from a panic attack. Panic attacks in general have a similar structure. They are characterized by a pre-attack, the attack itself and the slow decline period. However, the symptoms are often different from one person to the other or from one panic attack to the other. Pre-attack is characterized by a feeling of anxiety and that something is wrong. The heart rate usually starts to speed up and the person feels that something is wrong with their body and that there is an actual possibility that they might die, even though in reality this is not the case. The pre-attack period can last for a short period of time or these feelings can intensify and the pre-attack period lasts for ten minutes or even longer. How long do the panic attacks last? The attack is the actual moment of intense fear which lasts for about a minute, even though the panic attack in general refers to both pre-attack and post-attack period as well. As mentioned, the real panic attack happens after about ten minutes of this intense feeling of anxiety. The post-panic attack is the period which follows the highest peak of the panic attack. For some it can last only a couple of minutes, while others might need hours to fully recover after a panic attack. On average, a person needs about half hour, to recover from a panic attack. Tiredness is something that characterizes the post-attack period and a person can feel tired and drained out for hours. A faster heartbeat, confusion, difficulties concentrating and other symptoms might be present for hours following a panic attack. So how long do panic attacks last? Even though a panic attack on average lasts about 10 minutes, it often seems like an eternity and people need hours to fully recover. Hyperventilation is behind most symptoms of a panic attack. This condition occurs in cases when a person breaths in excess oxygen and breathes out excess carbon dioxide, leading to a feeling of not getting adequate oxygen, making a person breathe even more faster. Normally, the symptoms of a panic attack will get even worse. In order to prevent, stop or shorten the period of a panic attack focusing on the breathing is very important. If you can stay focused and breath as normal as possible, than the symptoms of a panic attack will be milder or resolve quicker. If you want to stop or reduce the length of your panic attacks, then walking might be helpful. Walking will improve your blood flow to your brain, but it can also distract you, which helps your brain recover faster from an attack. If you just continue thinking about your fears, the panic attack will be longer and stronger, leaving you beaten up in the end. Not thinking about your fears and detaching yourself from your thoughts can be beneficial in preventing and stopping a panic attack. Grounding techniques are another method to prevent or stop a panic attack. With grounding techniques such as using physical sensation can help you reconnect to the present. If you constantly deal with feelings of panic and anxiety, learning to reflect on your fears can help you command the situation. Identifying potential sources is also very important which normally can help you address those feelings. If you keep talking positively, your mind will adapt to the words you are saying. During a panic attack if you repeat to yourself that you are safe and that you are not in a real danger, you can prevent the panic attack from occurring in the first place or you can recover faster from one. Panic attacks are medical conditions that can be treated. Medications will not resolve the problem, but a combined treatment of both medications and therapy can help. Exposure therapy for panic attacks and panic disorder, as well as, cognitive behavioral therapy are of a great help. Exposure therapy consists in getting exposed to a physical sensation of panic in a safe and controlled environment in order to help cope with this physical sensation of panic in the future. 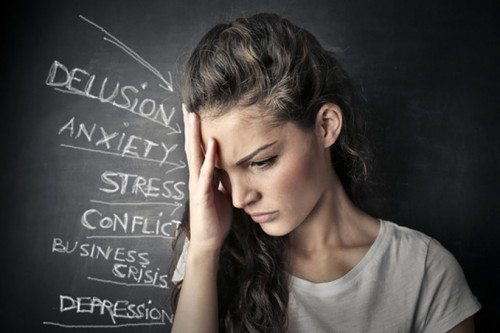 Cognitive behavioral therapy is the most effective treatment for panic attacks and panic disorder which consists on focusing on the thinking patterns and behaviors that trigger these panic attacks. Medications are often prescribed for the treatment of panic attacks and panic disorder as they can help control some of the symptoms. However, medications don’t resolve the problem. Medication treatment is more effective when combined with other treatment methods such as lifestyle changes, therapy, etc. Common medications prescribed for the treatment of panic attacks and panic disorder include benzodiazepines and antidepressants. Benzodiazepines are anti-anxiety medications which work very quickly within an hour. Taking benzodiazepines during a panic attack will help relieve its symptoms. A problem with these medications is that they are highly addictive. Antidepressants on the other hand take several weeks until they start working.